Microsoft uses the term “Windows as a service” to describe Windows 10 but there has been some confusion within the IT community as to exactly what that means. In a nutshell, there will no longer be distinct versions of the operating system as we knew them in the past (Windows 3.1, Windows 95, 98, ME, XP, Vista, 7, 8, etc. In keeping with the new “agile” philosophy in software development, Windows 10 is designed to be a constantly evolving “living document” that will gradually change over time as updates add features as well as performance, reliability, and security fixes. The good news is that you will no longer have to worry about installing a new OS. The bad news is that you will no longer have the option not to upgrade. Most updates are now cumulative, so there is no way to install some and reject others. And you can’t even politely refuse the whole thing – at least not forever. Updates can be deferred but only for a period of time. 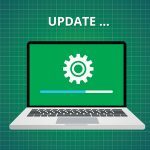 The intent is to make systems safer (by ensuring that security patches are installed) and more reliable (to address the problem of incompatibilities caused by creation of new updates based on the assumption that past updates have been installed). Under this “new world order,” Microsoft has been issuing a couple of major feature updates per year for Windows 10. The last was the fall creators update that came last October and added such features as mixed reality, an improved Photos app, “My People,” new Cortana commands, and my favorite, “Continue on PC [from mobile browser].” Now, roughly six months later, oops – they did it again. At this point, it’s probably worthwhile to note that as consumer use of technology becomes more mobile-centric, we can probably expect Microsoft to focus its desktop OS on developing a more business-friendly feature set, and Win10 does seem headed in that direction in many ways. Never fear, though; the latest update also has some great enhancements for consumers and gamers, too. The Windows 10 April 2018 update (a.k.a. v1803, or to the really cool kids, Redstone 4) barely squeaked across the finish line in time to claim its name. It was originally planned to be released early in the month, but reliability issues and the specter of a rash of BSODs (blue screens of death) caused delays that resulted in an April 30 official availability date (to manually download) – although the update didn’t actually start to roll out to most computers via Windows Update until May 9. Is it worth the wait? In this 3-part article, we’ll take a look at some of the new features and interface changes and how it aims to make your computing life easier, as well as some of the inevitable problems that have arisen when some systems upgraded (or attempted to). We’ll look first at some more user-oriented features, and then at those of interest to IT professionals. Some parts of the interface, such as the Settings app, have received some subtle aesthetic improvements through the application of Fluent Design principles. Like good cosmetic surgery, the differences are noticeable but not dramatic. Icons and typefaces are a little different, and there are content changes, as well. Although the settings categories remain the same, there are new additional options within each of those categories. Cortana’s notebook gets a new, sleeker and more streamlined look, as well. This is a feature that can be equally useful for work or personal computing. In today’s ever-busy world where we churn out files, take tons of photos, and are flooded with digital information we receive from others every day, finding the items we created, worked on, or viewed in the past can be a real challenge. A way to reduce the time wasted hunting for that doc or picture from a week ago is sorely needed, and the new Timeline is Microsoft’s solution. Similarly to the history bar in your web browser, it allows you to scroll back and see all of your activities on a particular day and even at a particular hour. (And never fear: if there are activities you prefer not to appear on the Timeline, you can delete them). This one seems definitely geared toward the business side and making your work life more productive. This is a new iteration of an existing idea: the “Quiet Hours” feature that many of us already used to keep the constant notifications from driving us crazy during specified periods of the day (such as when we’re trying to get work done – or at night when we’re trying to relax and not worry about work). It could be annoying if you forgot to turn it on before you started doing a PowerPoint presentation, though. Now with the renamed Focus Assist, those pesky notifications will be automatically silenced during presentations (and also when you’re playing a game) – but you can create exceptions for particular apps if there are some that you still want to see. This is an interesting feature allows you to share docs and photos over Bluetooth and wi-fi with other Windows 10 computers that have the April update, if both have the feature enabled. You enable it through Settings | System | Shared Experiences. You can configure it so it will send to and receive files only from other devices using the same Microsoft account. That way, you can share files between your own devices without worrying about others nearby sending you files. The other option is to allow sharing with everyone nearby. To share a file, you simply right-click the file in Windows Explorer and select Share from the context menu. Files you receive are stored in the Download folder. You can also share webpage links from the Edge browser via its Share button. NOTE: At Build 2018, Microsoft announced that developers will be able to add the Nearby Sharing feature to Android apps, and that it is also “coming soon” to iOS. This one merits a #FINALLY and a sigh of relief. Now Edge, like Chrome, will allow you to shut up those noisy web pages that all of a sudden start blasting out unwanted audio – usually when you’re “multitasking” during a business meeting, or trying to quietly surf the web in the close confines of a hotel room while your spouse is (or at least was) sleeping a few feet away. With the new mute icon, you can quickly zap the noise and save your job and/or your marriage. Next time: What’s new for IT pros? In Part 2, we’ll continue the discussion with some features that will be of interest mainly only to IT professionals, including some security and privacy enhancements, setup scripting, configuration, and more control over updates for businesses. Then in Part 3, we’ll discuss the dreaded Blue Screen of Death and other problems that have been encountered when installing the April update on certain machines, and why it may make sense for some people and organizations to defer the upgrade for a while (and why some of your machines might not show the update as available at all).